Basically to be expected we got a whole bunch of nothing out of Birdman’s exclusive interview. The Mogul hasn’t said a peep since the $51 million dollar lawsuit against Cash Money, and all of the beef started between Weezy and Young Thug. Baby also spoke on the reports and videos of him pouring drinks on Wayne in the club after performing disrespectful lyrics from his remix to CoCo. Again, he “knew nothing about the incident” and made it clear that anyone disrespecting his son would be checked regardless of who they may be. Hey it is what it is, but the shake of the cup in the video after Wayne noticing him implies otherwise. Pretty much everything we all want answers to right? Of course, like an old head, he gave generic responses for everything. Did I mention Wayne was his son? He did let us know that Drake and Nicki are staying with Cash Money regardless of Wayne’s decisions. 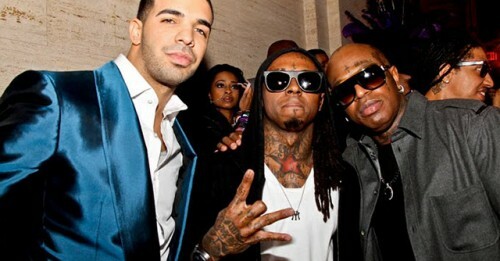 Nicki and Drake have made it pretty clear that they rock with Wayne to the death, so I’d like to see how that plays out. Overall, Birdman says no one has a problem with him and that he has a good relationship with all of his artists. He even mentions that he speaks to Wayne periodically in the midst of all of the madness. Williams gave the explanation of “People are going to think what they want, so f-ck it,” which I can agree with, especially when he clearly wasn’t there for clarification. Word to the wise, if you’re going to sit down for an exclusive, make sure you’re telling us something we don’t already know. Family business is family business and that’s completely understandable, however, as far as the media is concerned, I’ll be taking Baby’s “word” with a grain of salt. There’s no way everything is all gravy like he wants us to believe when HIS SON is getting shot at and fingers are pointing at him. Rap Discussion: Wayne or Kanye?